Shawn Buckley represents the MacIsaac Group of Law Firms for Personal Injury claims in the Kamloops, Valemount, North Thompson and Williams Lake regions of British Columbia. 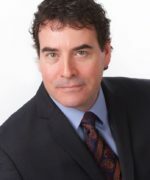 His practice focuses on Personal Injury claims and Criminal Law with a particular interest in Health Canada issues dealing with the Food and Drugs Act and regulations. His work in that area ranges from defending companies charged with violating the Act and regulations to assisting companies obtain licenses. Shawn Buckley is the MacIsaac Group representative for clients in Kamloops, Valemount, North Thompson, Williams Lake and surrounding areas. The MacIsaac Group of Law Firms’ specialized personal injury lawyers provide you with expertise and the best possible legal services for ICBC and personal injury claims, right in your local office. If you have been injured in an accident through no fault of your own, give us a call. We can give you the advice you need.